Happy memories sparkle in this journey through poet Shauntay Grant’s childhood visits to North Preston, Nova Scotia. Happy memories sparkle in this journey through poet Shauntay Grant’s childhood visits to North Preston, Nova Scotia. Her words bring to life the sights, sounds, rhythms, and people of a joyful place, while Susan Tooke’s vibrant illustrations capture the warmth of one of Canada’s most important black communities. 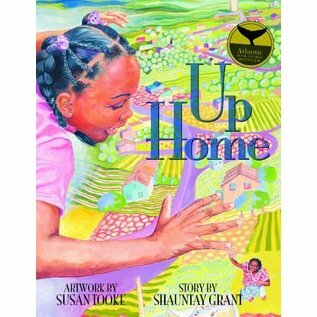 Up Home celebrates the magic of growing up, and the power in remembering our roots now in a new softcover edition. Shauntay Grant is a writer, spoken word performer, broadcast journalist, and musician. She was Halifax’s third poet laureate (2009–2010). 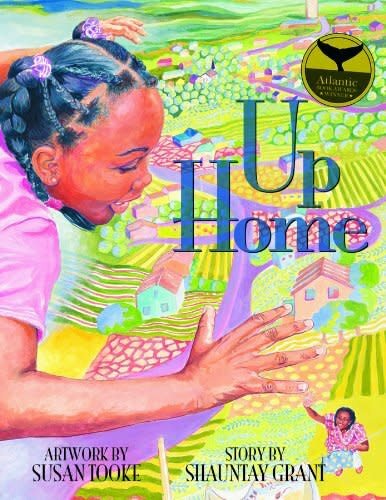 She is the author of The City Speaks in Drums and Up Home, which won the 2008 Atlantic Book Award for Best Atlantic Published Book and was shortlisted for the 2010 Hackmatack Children’s Choice Book Awards. Shauntay lives in Halifax, Nova Scotia.